Will Brexit Affect Your Drawdown Portfolio? 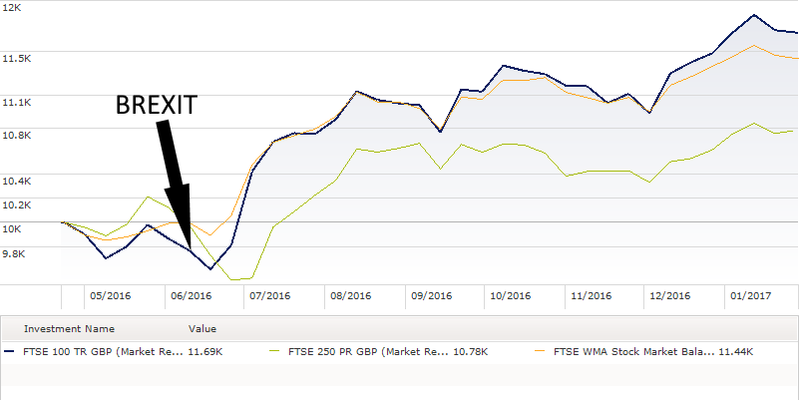 Will Brexit Affect Your Drawdown Portfolio? 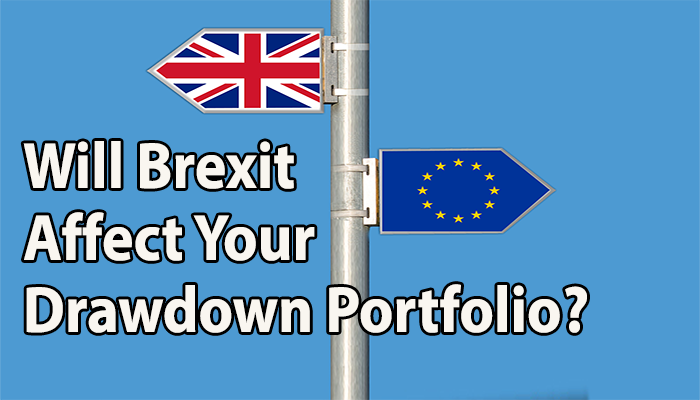 Will Brexit Affect Your Drawdown Portfolio? Brexit has been in the headlines for months. Yet, the question remains: what does it mean for your retirement portfolio? As the negotiations unfold, let’s take a moment to consider how this event has impacted drawdown portfolios and investments. The UK inflation rate has increased to 1.6% up from 0.5% in June. While that increase does lower your purchasing power, it is far from the economically crushing hyperinflation situation suffered by other countries in the past. Declining value for the British pound. Ford, the U.S. based car maker, has announced that the declining value of the pound may cause the company to lose over £400 million in 2017 according to the Independent. That’s bad news if you own Ford stock and is one example of the knock on effects to traditional blue chip companies. Export growth is unclear. Bloomberg reports that recent UK economic performance is based on consumption and services which may not be sustainable. The hoped for boom in British exports due to Brexit has yet to materialize. Slowing Employment Growth. A significant percentage of the British economy depends on trade with Europe. As a result of Brexit uncertainty, British employment growth is slowing according to the Globe & Mail. That’s bad news especially if you’re still saving up for retirement. With the news media and politicians announcing new Brexit developments each week, it’s easy to get caught up in the frenzy. If you’re not careful, your retirement drawdown portfolio may suffer. Following Brexit, you may feel tempted to sell off all of your foreign assets especially European stocks and bonds. If you focus your entire portfolio in the UK, you will face much greater investment risk. Diversification is one of the few proven ways to reduce investment risk and uncertainty so keep it as a principle. Tip: Did you know that researchers have a term for investors who focus too much of their portfolio in their own country? It’s called “home country bias” and it can hurt your ability to hit your retirement goals. A small minority of investors are successful with day trading – buying and selling stocks each and every day. If you watch financial news reports each day, you might imagine that there’s an opportunity to make quick profits. Day trading can be profitable… However, it requires tremendous discipline and focus. Seeking to make fast profits like a day trader – but without the day trader’s experience and knowledge – is a quick way to erode your portfolio. Even worse, a day trader perspective will probably make you feel much more anxious! Whenever a major economic or political event like Brexit occurs, take a deep breath and remain calm. If you are investing throughout retirement, you need to follow long term principles. Use these three principles to guide your approach to financial planning. With a clear financial plan, you will have written goals to pursue. For example, if you have enough money in your drawdown pension to meet your goals, think about reducing your risk exposure. You don’t need to take additional risk if you already have enough to last you comfortably. Taking additional risks could see more volatility in your investments which could results in you declining past your safety level. Define your ideal income requirements and required portfolios size, if you’re unsure of this, seek help through a Financial Adviser. Tip: Your financial plan needs to cover all of your assets – property, pensions, stocks and bonds – in order to be comprehensive. To make the most out of your meeting with a financial professional, be prepared with up to date statements for all of your assets. With a sound financial plan, you will know what you need, each week and each month. For example, if your income requirement is £1,000 per month, don’t withdraw £2,000. If it’s withdrawn, it’ll propbably be spend in incidentals. It’s is also withdrawing money which could be working harder staying invested. In addition to the practical benefits, there is another subtle benefit to working from an retirement investment plan. You will be able to navigate crisis situations with calm. Rather than frantically checking your portfolio each hour, you will be able to view the situation with detachment and ask better questions. For example, you can ask yourself (or your advisor): “Does this crisis of the day change my goals? Is there a requirement to change my investment plan?” Most of the time, the answer will be no. being out of the market for the subsequent market rally in the months following. To concluded, Brexit will have some effect on an invested portfolio. The key is to ensure it is both diversified an able to adopt to changes. If you’re only invested in one fund, you’re chances of adapting to the ongoing changes in the political landscape are slim. You need to be diversified according to your risk but should cover the main four asset classes of Cash, Bonds, Property and Equity. If you’re unsure of how or where you’re invested or whether it’s suitable, speak to a financial adviser or ask us to look at your portfolio.